GamersOrigin is proud to welcome Ilyes “Stephano” Satouri as it’s very first Starcraft II player. The french-tunisian is known as one of the best non-korean players of SC2 history. With his 8 victories in major tournaments, he his indubitably one of the most famous person in french esport, thanks to his incredible achievements. Stephano started his career on Warcraft III, then he moved to Wings of Liberty at its launch, in 2011. He shined in weekly and monthly tournaments, while managing to achieve good performances in LAN. He found success very fast : Ilyes Satouri started his reign on the french and european scene. The Zerg player played for Millenium, Meltdown and Evil Geniuses, and he trusted the top of the ladder during his first years. His most famous victory was against VortiX in 2012 when he became the new european champion. He recently qualified for IEM Season XII at PyeongChang, South-Korea. The tournament will be held in February 2018 with the support of the International Olympic Committee, with a 150 000$ cash-prize. 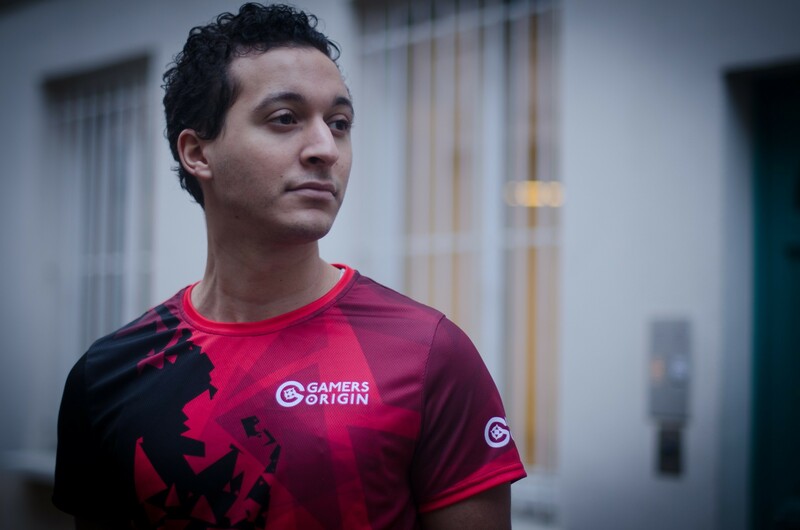 Stephano’s arrival allows GamersOrigin to enter an eSport founding scene, which took part in the expansion of eSport for many years. Rigour and intelligence needed to perform at the top level of the game make Starcraft II a tough game to master. However the game has a huge and loyal fanbase. Stephano is known all over the world as one of the best non-Korean SC2 player, thanks to his talent and his titles. He is one of the best french esport player across all games. GamersOrigin will provide him everything he needs to shine in his next tournaments. We are very proud to welcome Stephano in our club, he is talented and motivated and he will surely represent France very well. With the growth of the eSport club, we really wanted to enter the Starcraft scene, because the game has done a lot for eSport in the past years and it will continue to do so. We will do our best to ensure Stephano the best conditions to perform at an international level. The family grows, and it is just a beginning ! It is a true pleasure to join GamersOrigin, where I have plenty of friends. The club is a strong one, which can help me give my very best in tournaments. I will now focus more than ever on my training in order to win the first trophy of GO SC2’s division!